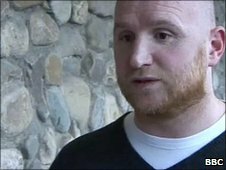 Former Wales striker John Hartson has been appointed a part-time coach at Blue Square Bet Premier side Newport County for the rest of the season. Hartson was a contender for the manager's job Dean Holdsworth left to take over at Aldershot on 12 January. Newport instead made Tim Harris caretaker boss until the end of the season and said they would name a new manager at that time. Hartson will coach the club's forwards once a week. Harris has switched from his role as the club's director of football, hoping to help win promotion with the team currently lying sixth. The south Wales club is also expected to make further additions to the playing squad, with an announcement expected on two players later on Thursday once the relevant paperwork is in place.